It’s this time of the year when security companies start to release their next year product versions. AVG has also released its 2014 line of products. 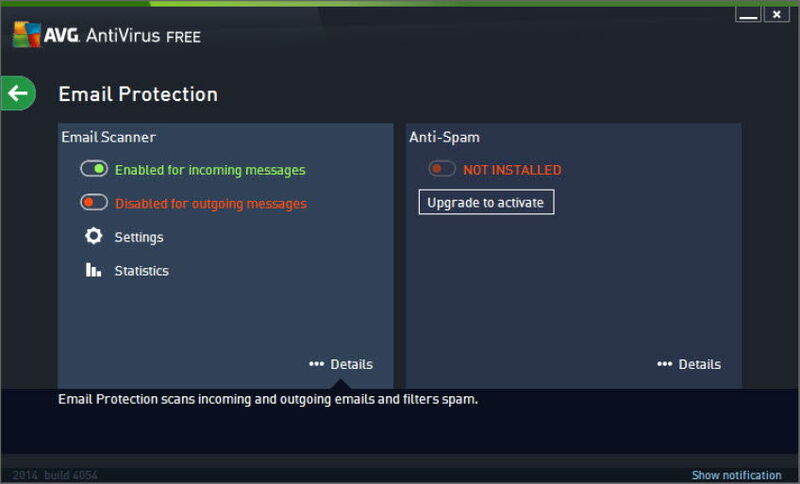 AVG security products include AVG Antivirus Free 2014, AVG Antivirus 2014 and AVG Internet Security 2014. 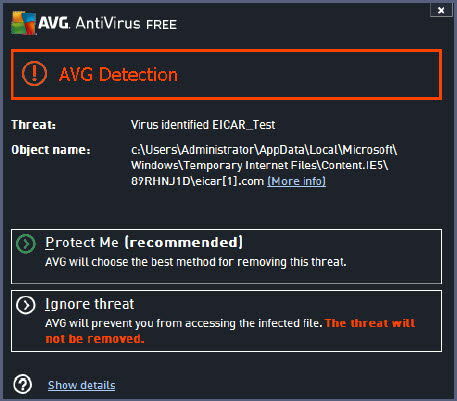 I was a little disappointed to see the AVG Antivirus Free 2014 does not officially support Windows 8.1 although it may work on it. 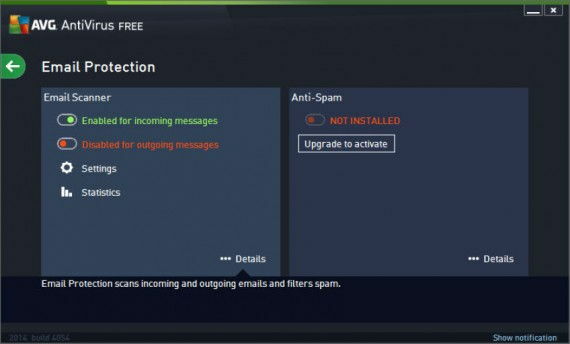 The identity protection component of AVG Antivirus Free 2014 does not support Windows XP so you will be without IDP support in Windows XP if you upgrade to the 2014 version. 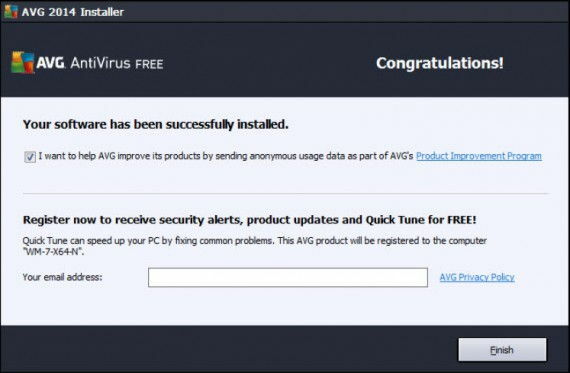 Another interesting point is that AVG Antivirus Free 2014 requires about 1.5 GB of space for installation although it may not be taking that much of space after installation. 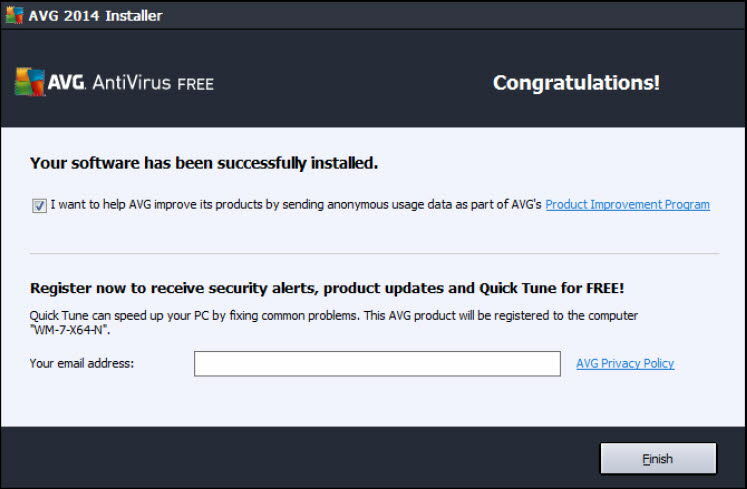 When you start the AVG installer, it will ask you for the language you want to install AVG product in. While English is the default language, it is possible to install the antivirus in multiple languages. There are two modes of installation, Express install and Custom install. In express install, the antivirus will install in automatic mode and no user input will be required. All default settings will be chosen including the AVG gadget which will install the gadget on your Desktop. The Express install option will also install the AVG Toolbar in your browser. If you don’t want to install the toolbar, you’ll need to select the custom option. After installation completes successfully, you will need to register the product to receive security and product updates and quick tune for free. AVG’s main interface shows the stats of the product with different colors. 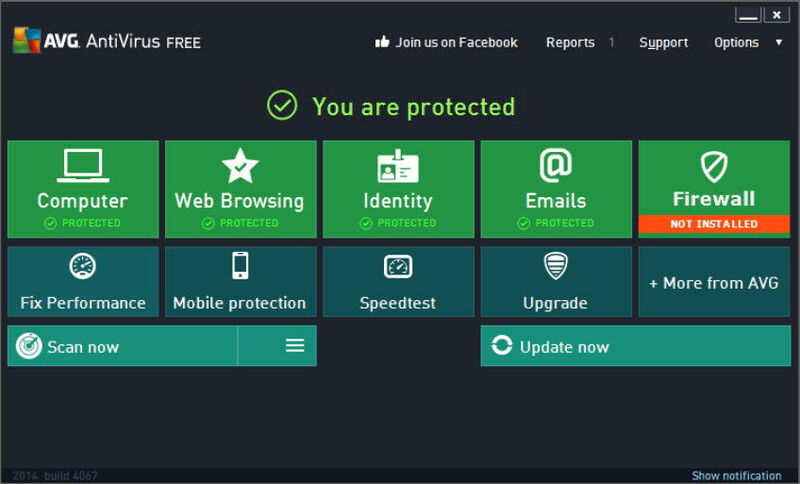 The green icon means that the product is fully functional and your computer is fully protected. The yellow icon with exclamation means that one or more components of the antivirus are incorrectly configured. The orange icon with exclamation means that the antivirus is in critical state and your system is not protected. You will need to give special attention to the configuration when you receive the orange icon. Here are the direct download links for all AVG 2014 products offline installers. You can also find the online installers for these products here. The online installers will download all the components when you run those installers on your computer while offline installers will run directly from your computer. i use pendrive 4-5 sys infected my pendrive &sys i tested again avg ver. Tiger thanks a lot for pointing out the dead links. All the links have been updated to the latest offline installers. 2014 Offline Installers (Direct Download Links) <Liked it! Thank you so much for the links to all the offline installers. You are providing a wonderful service that I am sure is greatly appreciated.